With power windows, a USB port, and automatic climate control, the base Prius C isn't as grim as it could be--or as lightly trimmed as many other competing subcompacts. The 2014 Toyota Prius C is the cheapest member of the Prius family, by roughly $5,000, but its gas mileage is the same 50 mpg as most other Priuses. The subcompact hatchback known as the 2014 Toyota Prius C remains pretty much unchanged; and now into its third year, this small car's role as the least expensive way to get into a 50-mpg Prius hybrid continues. 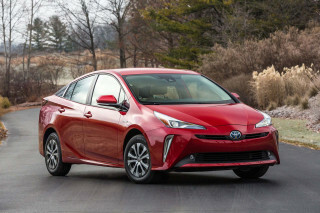 In a smaller car, you might think that equaling the gas mileage of a larger, heavier mid-size Toyota Prius liftback might be easy, but actually, getting high gas mileage in smaller cars can often be tougher than you'd imagine. Nonetheless, the Prius C is one of three of the four Prius family members with EPA fuel-efficiency ratings of 50 mpg combined. Unlike the rest of the Prius lineup, this one looks conventional enough that you might never know it was a hybrid--if you didn't look at that 50-mpg rating, anyway. The lines of the Prius C combines a smooth, rounded, swept-back nose and smooth sides with a more conventionally vertical tail than the larger Prius liftback. There's no two-piece rear window here, just a conventional top-hinged hatchback flanked by high vertical tail lamps and topped by a surprisingly long roof spoiler--again to reduce fuel-wasting wind turbulence at speed. 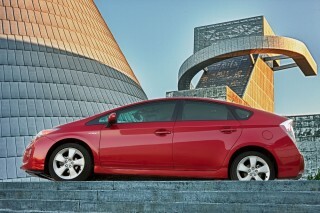 Especially from the rear, there's really nothing that reads "hybrid" except for a Hybrid Synergy Drive badge. Inside, too, the 2014 Prius C is more conventional than its larger siblings. It's deemed a subcompact, but it's longer than most other cars in that segment, which helps interior volume in the interest of cheating wind resistance. There's a classic Prius Multi-Information Display mounted in the center of the dash, just below the windshield, but both the console and the dash controls are much more conventional. Rather than the oddball Prius drive selector stalk, the smallest Prius uses a conventional chrome lever mounted on the tunnel. And if you've been inside the Toyota Yaris subcompact, you may recognize quite a few of the other switches and knobs as well. The front seats are about the same as any other Prius model: thin, but comfortable enough. We were surprised that two six-foot adults fit neatly in the rear, with a bit of negotiation with front-seat riders. The quality of the interior trim is about par for a subcompact, but definitely a step down from other Prius models. There's even some painted metal visible in certain areas--that's one way Toyota keeps the price under $20,000 in a car with a full hybrid powertrain. Our test cars have all been built and assembled well, without squeaks or other glitches. The Prius C five-door hatchback still starts below $20,000, and it's a dedicated hybrid model, meaning there's no gasoline-only version. 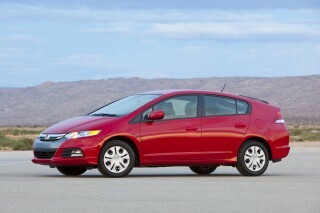 To go with its smaller size, the subcompact Prius gets a smaller powertrain too. 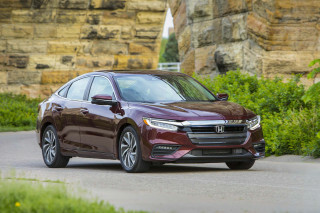 Its 1.5-liter four-cylinder engine has an output of only 73 horsepower, and the Hybrid Synergy Drive system it's paired with is a new, more compact design. Together, the engine and two motor-generators put out a total of 99 hp. But where the Prius C really wins is in packaging: Toyota managed to house both a smaller 0.9-kilowatt-hour battery pack and the car's gasoline tank under the rear seat, providing a full-depth load bay--unlike the similarly sized Honda Insight, whose much shallower cargo area has a battery pack below it. 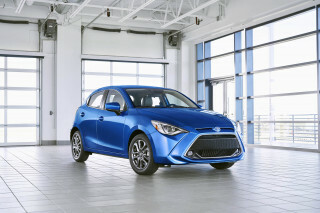 The EPA 50-mpg fuel-efficiency rating breaks down to 53 mpg on the city cycle (higher than the Prius Liftback) and 46 mpg on the highway (lower than the Liftback), which points out how hard it is to make a very aerodynamic subcompact car. On the road, the smaller Prius C is more connected to the road and far less numb than the larger members of the Prius family. It's far more agile, and it's perfectly suited to tight parking spaces, city street jousting, and all the other places you need a small, maneuverable hatchback that can carry four people and their gear. Let's be clear: The Prius C has nothing like the dynamics of a sporty hot hatch. But relative to its larger siblings, it's more rewarding to toss around. Owners will get their biggest payoff at the pump. A 50-mile road test in Southern California--with stop-and-go city traffic, rural two-lane roads, and fast freeway travel--gave us a recorded 52.4-mpg mileage reading. That's good. The Prius C isn't a fast car, but work it hard and it'll keep up with traffic. Toyota offers an EV mode, to keep the car in all-electric drive at low speeds for up to half a mile. Then there's an Eco mode, which lowers the climate-control settings and caps power output, for even thriftier use of fuel at the price of sloooow travel. We tested it dutifully, and then switched it off--and found the Prius C to be quite economical even when driven energetically. The littlest Prius has a somewhat mixed safety record. It comes with no fewer than nine standard airbags, plus the usual suite of electronic safety systems, including stability control and Brake Assist for the anti-lock brakes. Last year, the Prius C was named a Top Safety Pick by the Insurance Institute for Highway Safety (IIHS), which awarded the car its top rating of "Good" in every category. But for 2014, the IIHS tested its performance on the new and tougher Small Overlap frontal-crash test and rated it as "Poor," meaning the Prius C lost its Top Safety Pick title this year. The National Highway Traffic Safety Administration (NHTSA) gave the car four out of five possible stars in every one of its tests--and added a footnote to its ratings that explained the car had unspecified safety issues during NCAP testing that were not reflected in the points used to assign ratings. The 2014 Toyota Prius C comes in four trim levels, known as One, Two, Three, and Four. 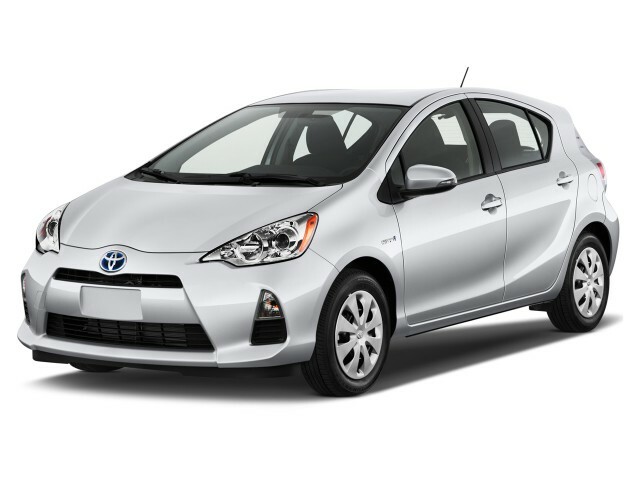 The price of a Prius C One starts at $19,890 including the mandatory $810 delivery fee. Every Prius C, even the base model, offers quite a lot of standard equipment, including power windows, mirrors, and locks; automatic climate control; keyless entry; and a sound system that includes a USB port (and iPod capability). But those base models use an old-fashioned ignition key to start the car, rather than the "Start" button found on pricier Prius models. 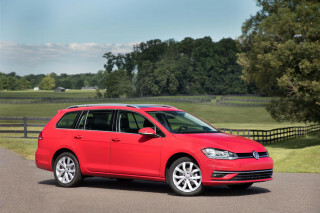 And that price still gets you the highest gas mileage rating of any non-plug-in car sold in the U.S. this year. And while even that base price is a couple of thousand dollars more than a comparably equipped gasoline subcompact hatchback, the Prius C can potentially deliver a payback in its vastly improved fuel economy. 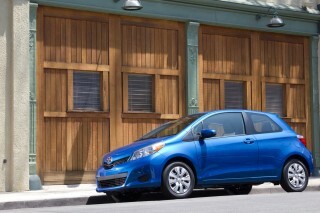 To make the math easy, assume that a regular subcompact gets 33 mpg against the Prius C's 50 mpg. Assuming you can avoid one extra gallon of gasoline every 100 miles--that gives a possible payback in as little as 50,000 miles (assuming $4-a-gallon gasoline). Your mileage may vary, of course, and it all depends on how many miles you cover each year. As you move up the Prius C range, the Three model includes both an in-dash navigation system and the Entune interface for the audio and infotainment system. Then, at the top of the line, the Prius C Four includes such niceties as alloy wheels, heated seats, and fog lamps. 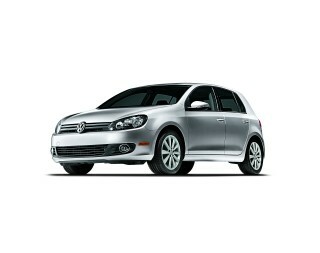 There's just one option package for the cars below the Four: it bundles together a moonroof and alloy wheels. I always liked the Prius c and recommended it to my daughter. The nine air bags and bright yellow color of the 2014 assured me. Two weeks ago she was rear ended after dark at possibly 35 mph. The steel... I always liked the Prius c and recommended it to my daughter. The nine air bags and bright yellow color of the 2014 assured me. Two weeks ago she was rear ended after dark at possibly 35 mph. The steel undercarriage was crumpled, but the gas tank and hybrid battery were intact. The engine still runs. She could have driven it away, but for the rear bumper rubbing against the left tire. The photo of it from the front at iaai.com auto salvage auction site makes it look like a premium used car. I LOVE LOVE LOVE my Prius C!!!!! I love everything about my Prius C. It gets great gas mileage and is so easy to drive! I love all of the features. Acqua car is good.but ground clearance is not enough. Fantastic gas mileage in a well made car. The Prius C, at first glance, looks like a sharp, but tiny, toy car. In fact, there is more driver room than I had in my Mariner. There is sufficient cargo room to hold two large suitcases. None of this really... The Prius C, at first glance, looks like a sharp, but tiny, toy car. In fact, there is more driver room than I had in my Mariner. There is sufficient cargo room to hold two large suitcases. Looking for a different year of the Toyota Prius C?